From my daughter Stephanie: "You will never be granted more time in your day. 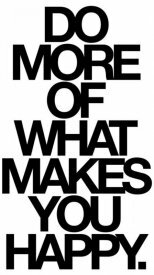 Find what you LOVE and START doing it!" 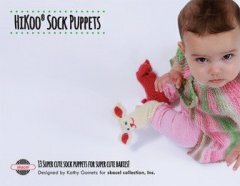 How is your "SELFISH KNITTING" coming along? 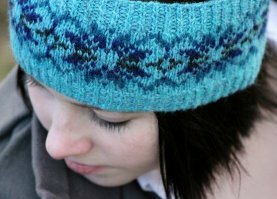 Or did you decide you just had to knit for others? I have spent the entire month knitting for me. 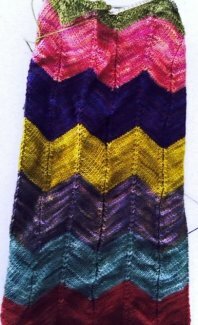 A luscious zig zag cowl in 18 colors of Malabrigo Finito, one of FAVORITE yarns. I love the process of knitting. 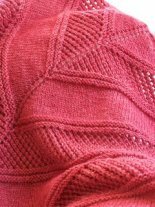 I may even stretch my "SELFISH KNITTING" into February & March. 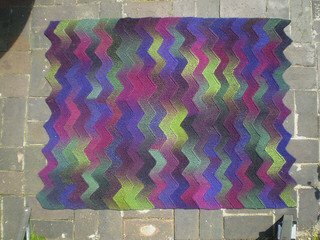 I am going to get back at my Knit Swirl in Claudia's Handpaints. Check out the KAL in this blast! 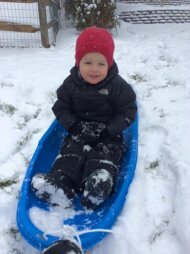 I started it in 2014 but put it aside to knit some blankets, hats, and more for my granddaughter McKinley. 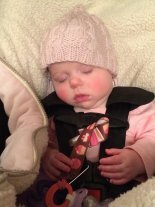 What a pleasure it has been knitting for that cutie pie. 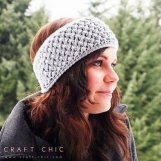 Check out her fabulous hat knit in Big Bad Wool. We will meet once per month cause there is lots of knitting! Sometimes we will meet during the week and sometimes on the weekend. We will determine times and dates at this Knit Swirl Kick-off. 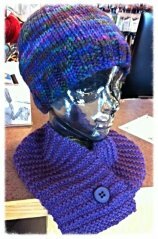 Anyone knitting a Knit Swirl garment is welcome as as long as yarn is purchased at the shop. The first session will be cover cast-on and first steps. 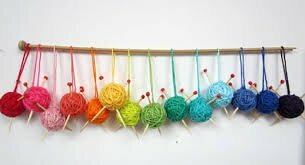 There will be staff at the shop to help you purchase yarn for your project before we start. Any questions, stop in the shop for details. GARMENTS are here ONLY THROUGH Thursday, January 29. Malabrigo - We received Rasta, Rios & Nube in the shop today! This is a partial order so if you are in need of something, GET TO THE SHOP SOON! Our Shipment of Unison came in from Skacel. 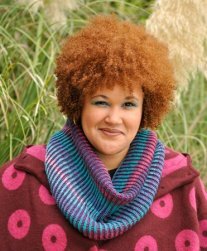 Once skein paired with a solid color and you can knit this fabulous scarf or cowl. 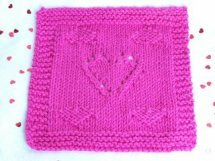 Easy Brioche knitting that looks much more complicated that it is! 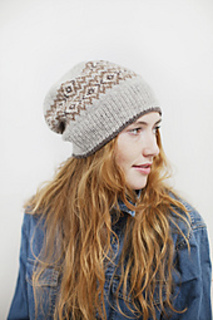 Pattern Magalog is free with yarn purchase while supplies last. 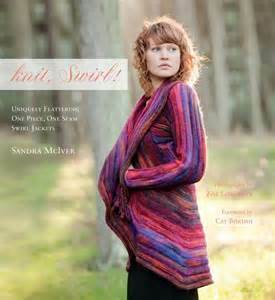 A new yarn from the Skacel HiKoo line is SimpliCria and it is already on our shelves. NEW BOOK - SO CUTE! 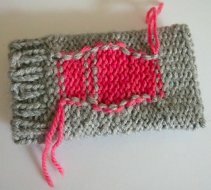 Crystalletts Tag-A-Stitch & (NO SNAG) markers are back in stock. Crystaletts Tag-A-Stitch is a package of over 50 assorted iridescent plastic marker disks for knit and crochet work. Most are printed with standard stitch marking notations, and several come blank so you can make your own notations. Each marker measures 1/2" in diameter. 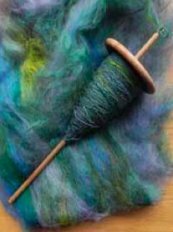 Deb is busy spinning in Anzula roving..so fabulous. She is doing a spinning class in February at the shop. 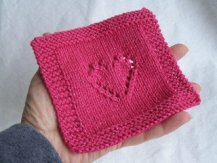 Have A Heart Dishcloth or Hearts All Around are a perfect Valentines Gift when paired with a pump of soap!